To systematically and comprehensively review and summarize the most recent literature assessing the value of the new grading system introduced by the International Society of Urological Pathology (ISUP) in 2014 and accepted by the World Health Organization (WHO) in 2016. A systematic literature search in the PubMed database was performed up to November 2018. Overall, 15 studies in the period from 2016 to 2018 evaluating the new grading system have been selected for evidence synthesis. 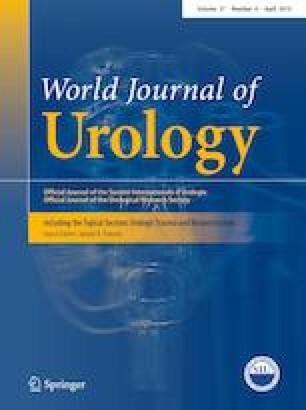 The main goals of the new ISUP 2014/WHO 2016 grading system were to establish (I) a more accurate and simplified grade stratification, (II) less overtreatment of indolent prostate cancer as well as (III) an improved patient communication. The majority of the studies chose biochemical recurrence as an endpoint for evaluation and statistically assigns the new ISUP 2014/WHO 2016 grading system a higher prognostic accuracy than the former Gleason grading. However, in only a subset of studies it was clearly evident that the historical samples were not only re-grouped according to the new grade groups but also re-graded according to the new histomorphological 2014 ISUP criteria. The vast majority of the studies support an improved prognostic accuracy of the ISUP 2014/WHO 2016 grade groups and endorse its worldwide application. AO: project development, data collection, data analysis, manuscript writing, data extraction. MCH: data collection, data analysis, manuscript writing, data extraction. VS: project development, manuscript editing. ASM: data analysis, manuscript editing. SP: project development, data analysis, manuscript editing, study supervision. AO and MCH are supported by junior research grants from University of Luebeck.